Posted in Mystery/Thriller	by Cate T.
The girl is back! And with her, the rest of the Millennium staff. The Millennium trilogy was created by the late Stieg Larsson. He passed away before the release of the first book, The Girl with the Dragon Tattoo which grew to become a worldwide hit with movie adaptations both in Swedish and English. The following installments, The Girl Who Played with Fire and The Girl Who Kicked the Hornet’s Nest also achieved success among readers. I’ve read all three books back-to-back-to-back. I loved them all and the movie adaptations. Mystery is my niche genre and this trilogy hits all the right places. It would’ve been fine if they ended it right there. There is something about the way the third book ended. It gave the reader room to wonder what happens next to Lisbeth and Mikael. But with this new book, we don’t have to wonder. NOTE: There are many issues surrounding the continuation and release of this series. I am aware of some of it but I am choosing not to talk about it here. This is a review of the book: how it was overall, what I thought about it, how the author continued the existing trilogy and how he made it his own. I’m not saying that the issues are not relevant. I just don’t want this to be too long and preachy that it takes away from the review. Google is your friend. The Millennium magazine is once again facing some troubles. The magazine had been struggling financially and support was waning from all sources. They were at the verge of being sold to a larger company. But at the right moment, Mikael receives a tip that can put Millennium back on the map. Frans Balder returns to Sweden to take care of his autistic son, August. With him, he brought his life’s work, a system that is very valuable yet extremely dangerous if it falls into the wrong hands. Back in the USA, the NSA is caught in the same web as Balder. Enter Lisbeth Salander, hacker extraordinaire. The Black Widow of this web. It doesn’t really pick up from where we left off in Hornet’s Nest. Mikael and Lisbeth had lost physical contact with each other, regardless of each other’s feelings. But Lisbeth has maintained her own kind of connection with Mikael. She’s a hacker after all. And Mikael knows this. They find each other again, brought together because of this case. Lisbeth finds Mikael again and unexpectedly becomes protector to a special young boy. Millennium’s editorial board are as strong and solid as they were in the past. The lack of Lisbeth Salander action in this book is rather disappointing. If you pumped yourself up for another epic Lisbeth badassery, you’ll only get about half your money’s worth. Yes, the girl was caught in some kind of web and it was exciting. They shed some light on this web/organization and how Lisbeth is involved in it. However, the book doesn’t really talk about it as the main conflict. Probably because they plan to make this into another trilogy. I can see that happening. Mikael definitely got more page time than Lisbeth. If this book weren’t called “The Girl in…” that would’ve been okay. I think I just had high expectations going in. Not to mention the predisposition that I’m reading a “The Girl…” book. It’s like picking up a Harry Potter book that follows Ron Weasley around and Harry only makes an appearance every three chapters or so. Though on its own, it’s a good mystery/thriller story. 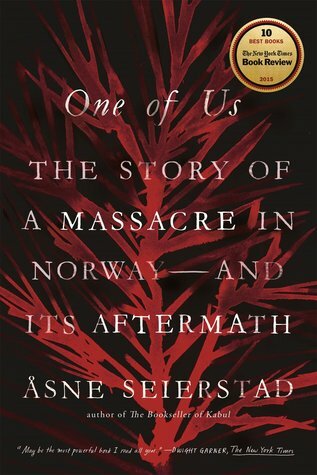 I’ve read other Swedish thrillers and this definitely fits the bill. I actually enjoyed the jargon and I felt that it was necessary to move the plot forward. I was certainly reeled in by all the computer and science stuff. You can tell that the author did his research. The situations and information felt believable. Lagerecrantz toed the thin line between retaining the original voices of the characters and inserting his own interpretation. It’s obvious that he tried to do both at the same time. Readers might like it or hate it. I didn’t mind it, really. I knew going in that this is not by the same person therefore, it’s not going to be completely the same. I got to hand it to Mr. Lagercrantz, he can write and for sure he had his own ideas. If he were to prove capable that he can continue this wonderful series, he’s doing it right. I’m not too happy with the ending; I felt that it just… ended. Things were going so wonderfully action-packed and then I noticed that I only had 10 pages left. It reminded me of how Hornet’s Nest ended. Hanging. With Lisbeth a bit out of character. Obviously, there will be a next book in this series. It would be a travesty to end it the way it did in this book. No one will ever fill Larsson’s shoes. 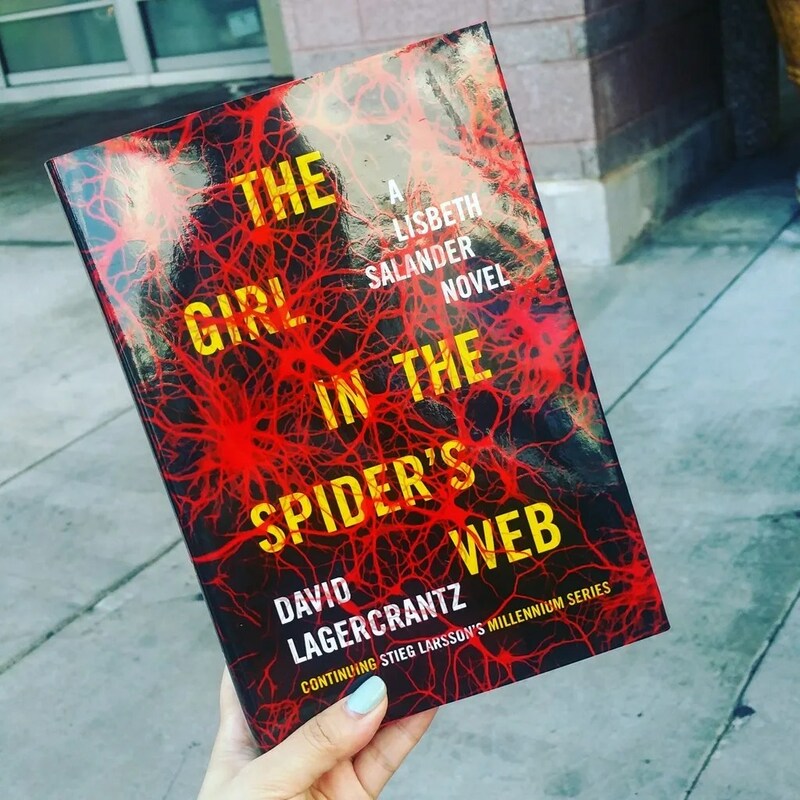 If this was the best that Lagercrantz could do to honor Larsson’s legacy, I’ll take it. I did like it and it did remind me of how the original trilogy felt like. I still hear the same voices in my head. I know they weren’t written by the same hand but still, there was a bit there that is familiar. But if this were the very first book in the Millennium Trilogy, I don’t think I will be trekking my way to the bookstore even through a snow storm to get the newest one on the release date. I will still and always prefer the original trilogy to anything that follows it. But I am thankful that Lisbeth and Mikael’s story continues. Rating: 4/5. It’s not the same but I enjoyed it nonetheless.